01V96i, Digital Mixer from Yamaha in the 01V series. riles's review (This content has been automatically translated from French)"A good toolbox"
In summary, this is a 01V96-VCM plus 16 e / s ASIO or Core Audio-USB. 32 mono input channels on two complete layers of faders. 4-way stereo inputs on simplified two layers of knobs. 8 group buses + 8 auxiliary stereo mix bus + 1 hand. No Matrix. 4 effects processors such SPX2000 freely assignable. 4-band parametric EQ + compressor + time + insert + gate on each input channel. 4-band parametric EQ + compressor + time + insert on each output channel. 1 YGDAI expansion slot allowing to add 16 e / s in the format you want. Scene memories. Gains / PAD are not stored. Copy and paste from one track to another in the same scene memory or in several others. Sauvergarde and recall all settings control + live via PC / Mac with Studio Manager. Freely configurable MIDI control surface or dedicated to the most popular DAW (ProTools and Cubase particular). As menus! That said, the screen, small, black and white, is well organized. Above, we have general info (selected channel, scene memory, various statutes ...), surrounded the main display with all parameters accessible via the navigation buttons and scroll wheel, and bottom, a series of tabs indicating clearly where you are. The direct access to the tabs buttons (just below the screen) and User Defined Keys much easier navigation. The interface is very close to a DM1000. Access to auxiliary sends is one pressing dedicated buttons, allowing live to be very responsive. Downside: when you&#39;re on the Aux faders, the screen always displays the menu. As soon as displays another screen (EQ, effects processor ...), the faders return to their usual function. Access to EQ is simple: you select the track you select the EQ band, then turning the three knobs (Q, F, Gain). Access to the pan is similar. For other settings, you have to go through the menus, navigation buttons and the dial. It does not allow an exemplary reactivity, but it&#39;s better than a LS9. The sound is okay but not great. If you are looking for high fidelity or strong character, look elsewhere. In terms of sound appears above the M7CL and the old 01V, 02R and 03D below. 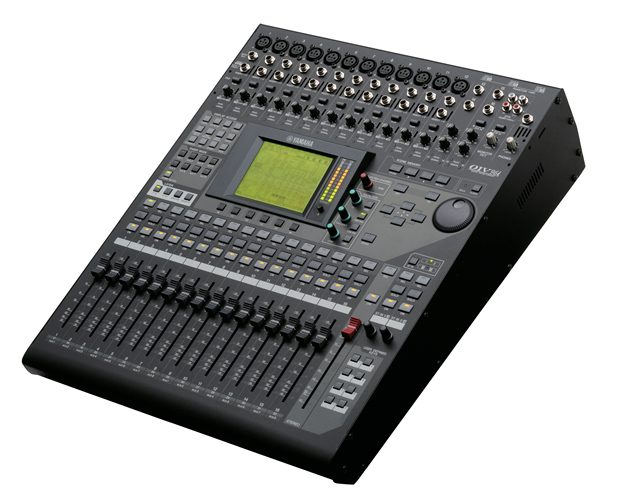 I frequently use or have used many of Yamaha digital consoles (ProMix01, 02R, 03D, 01V, DM1000, DM2000, 01V96, LS9, M7CL), only very large PM1D and PM5D are barely past my fingers. I do not like so much these consoles: Yamaha is cheese OR dessert ... Apart from the very high end, there are always features that are missing, and the more expensive models are best served. 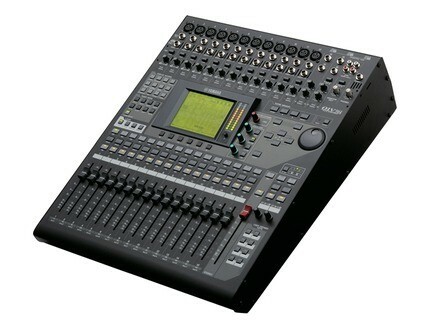 I think Yamaha pays his pioneering liability in the mixer for live and struggling to get out of its archaic designs. The M7CL a bright color display (vaguely touch, you have to cut the nails, calluses erase her, do not press too hard or not enough), but no delay on the input channels (essential for the rephase microphones of battery). The LS9 also has a color screen, but not touch at all. Ergonomics is worse than a M7CL, but also worse than a DM1000 or 01V96, it is the level of the old 01V, but in color. In short, the time to navigate to the feedback of the time, the song is already over. No reggae with LS9. The DM2000 is a liner, but there are only two knobs for EQ band: you have to press one of them to move from Q to the frequency and vice versa. This is crap. Those that seem suitable, it is the DM1000 and 01V96. (I do not quote 02R96 I never used). From there we can discuss the tone. It&#39;s been a few years that all console manufacturers have gone digital. 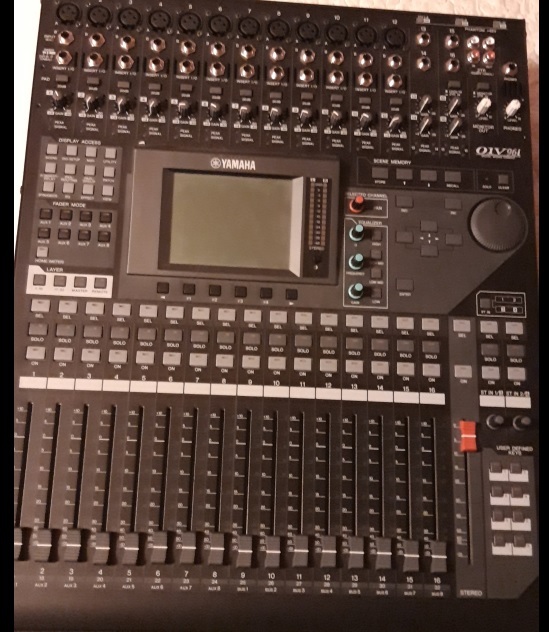 Unfortunately, I am a victim of Yamaha steamroller that crushed the console market in France, so I have not really had the opportunity to use all the models, except for the Sy48 Innovason ( easy to use when you are met and super) a small Presonus (which I recommend), a Soundcraft with remote patch. I like its compactness, its comprehensive features, the integrated ASIO driver. I will accommodate her any sound. I use it a lot in theater direction: it simultaneously uses his card, MIDI controller, and dissemination processor. Each show is saved in Studio Manager. I have not seen more convenient for the theater. In concert, ergonomics and sound quality are not ideal, but its compact size, functionality and price make the still very useful when resources are limited. In the studio, I use it as a control surface for Pro Tools (also manages other DAW), as the card (priority I am using e / s with digital converters and preamps) and as listening without mixer latency. Similarly, Studio Manager allows me to save the config of each session. As usual, I suggest you download the manual fr. The features are too numerous to detail here. At its features, it is able to do ANYTHING with a significant connectivity and especially thanks to EVOLUTIVE optional cards that can add to it. The manual is clear and French ... It's worth taking two days to read quietly with the table under the eyes. As for the usual functions of the table there is a logic that repeats itself all the time. Once we understand this logic, it is a breeze. FOR NEW USER the 01V96i: you will encounter moments of blocking always find a solution. To fully master the beast, it is essential to TAKE THE TIME TO UNDERSTAND! Useless to mix the night of the reception of the machine, you run the cata ... unless you have the habit of numerical tables. I compared with STUDIOLIVE 24 ... it is different but not better especially LESS STRONG! Converters are absolutely transparent. Nothing to say. I use this table to mix in studio effects and use the table to save CPU my laptop. I prefer effects (classic reverb, comp, eq) of the table to those CUBASE or REAPER. This is great when mêm mix live rather than see flashing on a screen. Unfortunately (or not?) She is still young and poorly recognized by the remote for DAW ... but that will come. Must set the daw hand! I had a very complex set 01v96v2 for recording because Yamaha mLAN system. But now it is night and day! Finally, the USB! I compared with STUDIOLIVE we were talking so much! Besides, we all know at least one old 01v which still works! I love everything about this table and especially its USB interface that can record 16 in and 16 out in any app! Icing on the cake: the software management table (StudioManager) which allows you to set the table, the piloting entirely from a computer and especially ... record all configs, all settings ... It is really useful! Its price is placed in the middle of the competition, but it carries on the seriousness and solidity. And they are firewire interface definitely dying. FreeToPro's review (This content has been automatically translated from French)" Quite the beast!" for someone who does not know anything or at least not much, but it is laborious eventually find its footing. patience and logic. The usual functions are they easily accessible? Starting from the factory config and tjrs a novice in 5 minutes it can swing sound. The manual is clear and sufficient? Definitely yes to the freedmen but if not clear enough. But hey, we will not ask them to slip inside the box during sound engineer. freedom of routing that's cool! Against by the tiny button for phantom power is not a good idea. micheljulien's review (This content has been automatically translated from French)" Of happiness!!" Good that comes from my analog it asks me hard, but I have no training at the base and I find the sound "as the last 4 years" in spite of everything, I manage to secure some prestas live, and Best of all, I even catch his 16-track via the usb. In all cases after them, too cool at all levels! I've had one month, and I already know how I did without it! I sort of analog (Mackie cfx20, rack comp / equalo / multi effect ......) frankly reduce the weight of the gear at this point, for me it's magic, even if this requires too much hassle a little in the menus and settings!